The rumors of a Jon Jones UFC 230 return finally have legs. Jones, widely viewed as the greatest competitor in the history of the UFC, is eligible to make his Octagon return on October 28th, less than one week shy of UFC 230 in Madison Square Garden, a card where Jones has been highly speculated to be making his return. USADA made the official announcement Wednesday evening after the arbitrator’s decision came down. The 15-month suspension of Jones is retroactive to the date of the collected sample from July 28, 2017. The full USADA decision can be read here. After a meeting Saturday between Jon Jones, his legal team, USADA reps, and the arbitrator of the case (Richard H. McLaren), the original four-year ban that Jones was facing due to this being his second USADA test failure was officially reduced to a 15-month suspension due to the “delivery of substantial assistance” by Jones. The decision was primarily based on what was considered to be Jones’s degree of fault in the case. 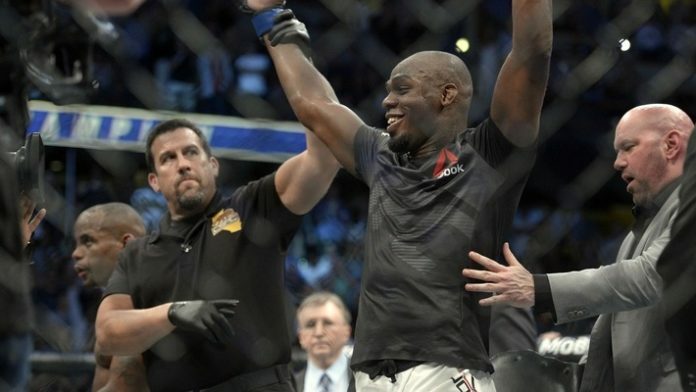 Jones tested positive for a metabolite of dehydrochlormethyltestosterone in a sample collected prior to UFC 214, where Jon Jones had temporarily regained his light heavyweight championship in a KO victory over Daniel Cormier in the main event. The California State Athletic Commission would then revoke Jones’s MMA license and fine him $205,000. As for the suspension, they commission decided to leave that to USADA. Still a man who is practically undefeated in the UFC with a 22-1 record, with the lone loss being a very controversial disqualification in a 2009 contest against Mat Hamill, Jon Jones has become an enigma in and outside of the Octagon and the subject of many heated debates. With this decision, it appears the debates and the activity of Jon “Bones Jones” is about to resume at full speed, and fans and critics alike will be watching with bated breath to watch how it all unfolds. What do you make of the 15-month suspension of Jon Jones?